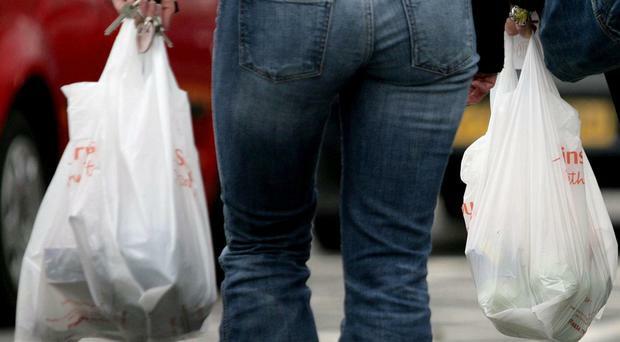 The Northern Ireland public is still battling with remembering the mountain of plastic bags in the boot of the car as new figures show almost 100million were used in the past year. Although that is significantly down on the 300m estimated to be used in 2012 before the introduction of the 5p levy in 2013. Government statistics show there was a 1.1% drop in the use of plastic bags in 2017/18 that was 1.1 million fewer bags. The proceeds of the levy for 2017/18 totalled £4.9million, a reduction of £0.1million (2.0%) from the previous year. The figures are based on data supplied by 2,575 retailers in Northern Ireland as notified to the Department for Agriculture, Environment and Rural Affairs by 30 June 2018. Bags which are exempt from the levy, such as those used solely to contain unpackaged raw food or hot foods/hot drinks, are not included in the data. The Department for Agriculture, Environment and Rural Affairs explained that there is not a correlation between the amount of money generated and the bags used because of how the data is recorded and differences in timing.